Responsible pet owners know that public health concerns and politeness (and in some localities, the law) mandate cleaning up after Fido relieves himself. But they also know it's not the most pleasant task in the world and for those with back or joint limitations, it can be painful. 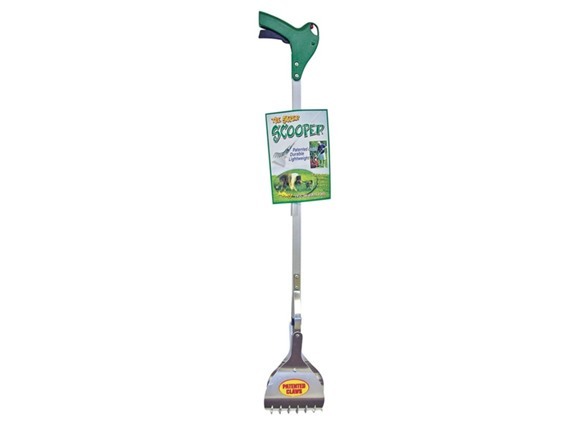 The Super Scooper is a great way to do the job properly without bending or touching. 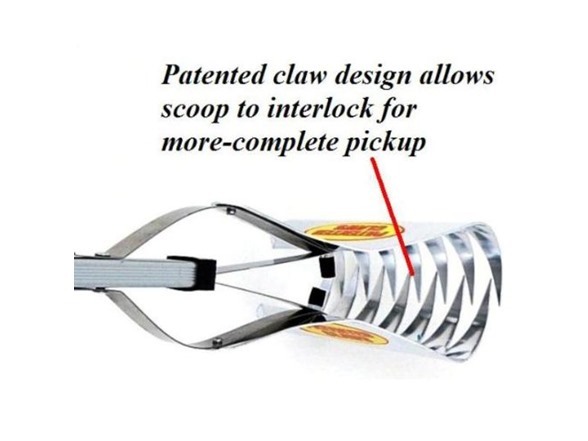 The patented claw design allows the scoop halves to interlock for more complete waste pickup - even in thick grass. It has a comfortable pistol-grip with easy-squeeze trigger action. The trigger-lock mechanism effortlessly keeps the scoop closed until you're ready for disposal. 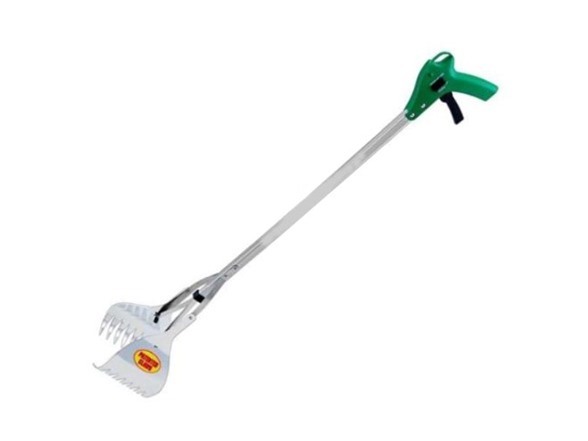 The Aluminum frame and claws won't rust or corrode and are easy to clean. Simple to use tool that does a great job cleaning up after your best friend! 36" length overall and just 12 oz.